73 x 30 inches. 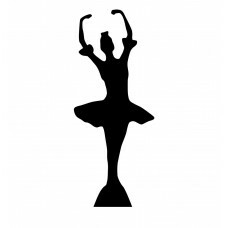 Our cardboard cutout of Ballerina Silhouette . All cardboard cutouts come folded and..
67 x 45 inches. Our cardboard cutout of Ballroom Dancers Silhouette. All cardboard cutouts come fold..
73 x 44 inches. 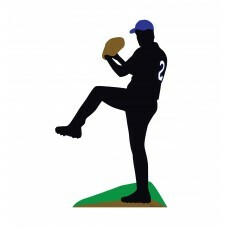 Our cardboard cutout of Baseball Sillouette. All cardboard cutouts come folded and h..
88 x 24 inches. 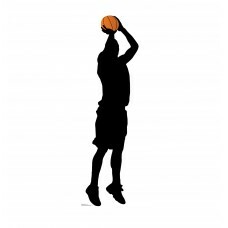 Our cardboard cutout of Baskeball Player Shooting Silhouette. All cardboard cutouts ..
72 x 26 inches. 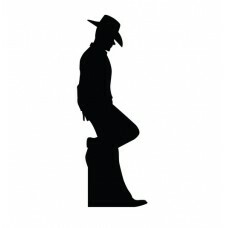 Our cardboard cutout of Cowboy Leaning Silhouette . All cardboard cutouts come folde..
74 x 34 inches. 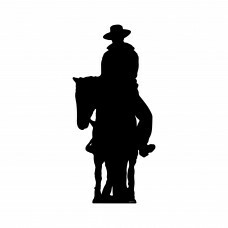 Our cardboard cutout of Cowboy On Horse Silhouette. All cardboard cutouts come folde..
62 x 21 inches. 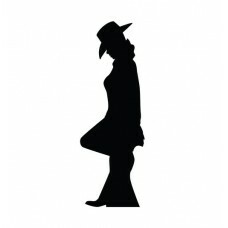 Our cardboard cutout of Cowgirl Silhouette . All cardboard cutouts come folded and h..
69 x 22 inches. 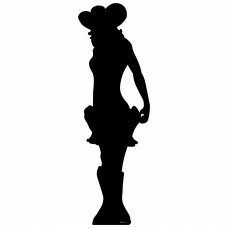 Our cardboard cutout of Cowgirl Silhouette. All cardboard cutouts come folded and ha..
71 x 33 inches. 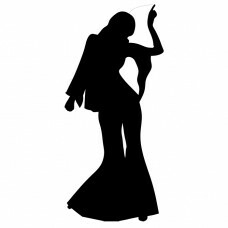 Our cardboard cutout of Disco Dancer Female Silhouette. All cardboard cutouts come f..
75 x 33 inches. 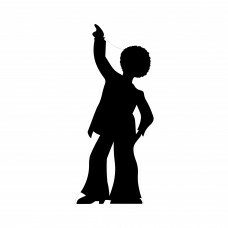 Our cardboard cutout of Disco Dancer Male Silhouette. All cardboard cutouts come fol..
72 x 26 inches. 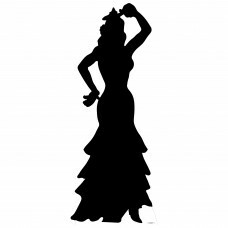 Our cardboard cutout of Flamenco Dancer Silhouette. All cardboard cutouts come folde..
67 x 26 inches. 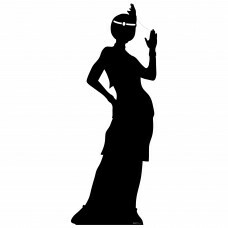 Our cardboard cutout of Flapper Girl silhouette. All cardboard cutouts come folded a..
68 x 44 inches. 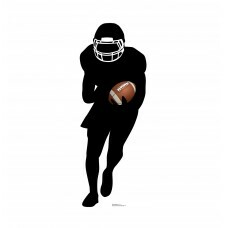 Our cardboard cutout of Football Player Running Silhouette. All cardboard cutouts co..
68 x 24 inches. 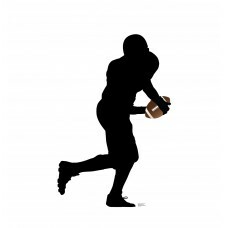 Our cardboard cutout of Football Player Runningback Silhouette. All cardboard cutout..
69 x 27 inches. 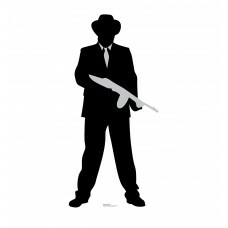 Our cardboard cutout of Gangster Silhouette. All cardboard cutouts come folded and h..
73 x 35 inches. 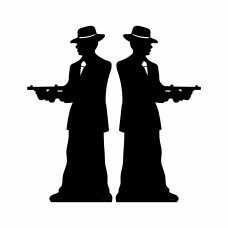 Our cardboard cutout of Gangster Silhouette Double Pack. All cardboard cutouts come ..
73 x 35 inches. 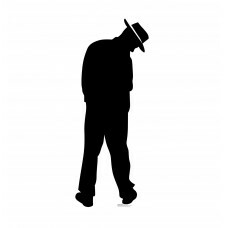 Our cardboard cutout of Gangster Silhouette Single. All cardboard cutouts come folde..
70 x 32 inches. 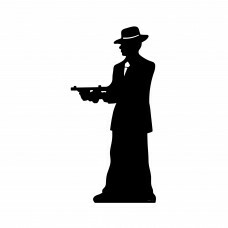 Our cardboard cutout of Gangster Tommy Gun Silhouette. All cardboard cutouts come fo..
73 x 35 inches. 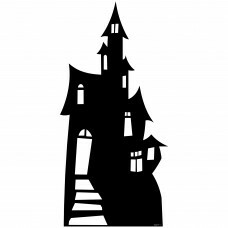 Our cardboard cutout of Haunted House Silhouette. All cardboard cutouts come folded ..
73 x 30 inches. 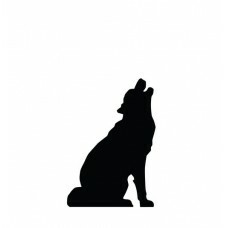 Our cardboard cutout of Howling Wolf Silhouette . 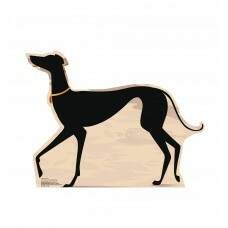 All cardboard cutouts come folded ..
20 inches x 27 inches Cardboard Cutout of a Paris Dog. In this Cutout it is of a Dog who is a black ..
66 inches x 29 inches Cardboard Cutout of a Paris Shopper. 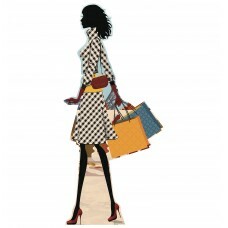 This Cutout of a Paris Shopper is of a Wo..
46 x 30 inches. 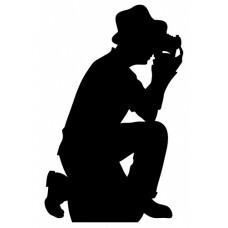 Our cardboard cutout of Photographer Silhouette. All cardboard cutouts come folded a..
76 x 29 inches. 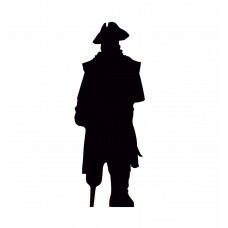 Our cardboard cutout of Pirate Silhouette . All cardboard cutouts come folded and ha..
72 x 21 inches. 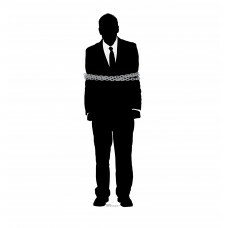 Our cardboard cutout of Prisoner Silhouette. All cardboard cutouts come folded and h..